The IR160.2 is a Digital Amplifier with 2 channel of 80W RMS each in 2 Ohms. 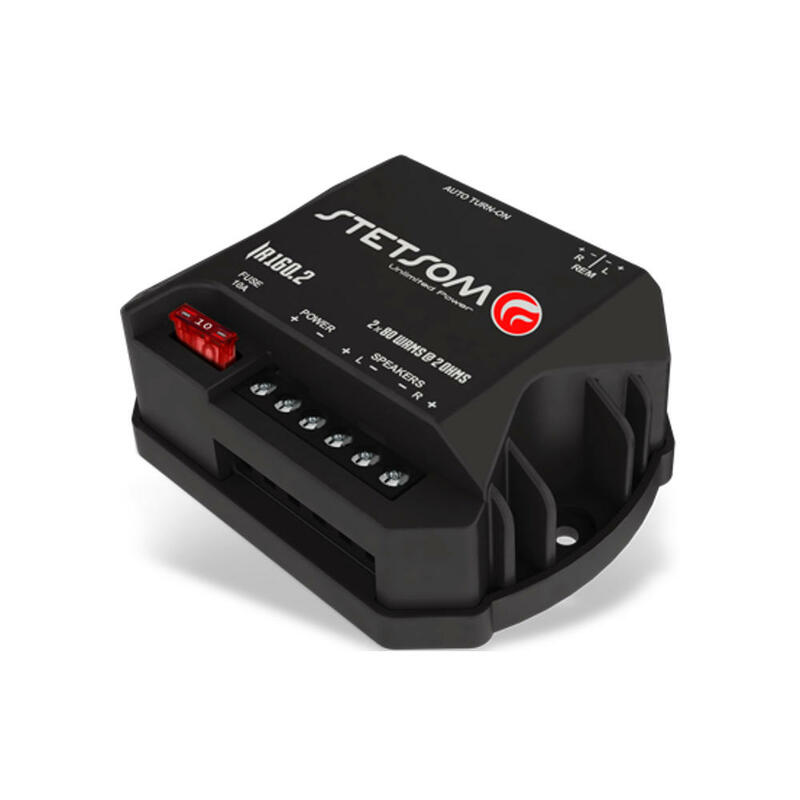 Features Auto-turn On: Provides Automatic Remote Start via the audio connector. With bass, mid and treble well defined with incomparable sound this amplifier is ideal for internal sound. Amazing design. Robustness is unmatched since it is developed in high performance aluminum. High fidelity sound in the bass, mid and treble. Safety Energy Technology: providing extremely high efficiency and low power consumption. It must be grounded to the chassis of the vehicle.